Be sure to watch the listing video by clicking 'Videos' Above. LOCATION, LOCATION, LOCATION! 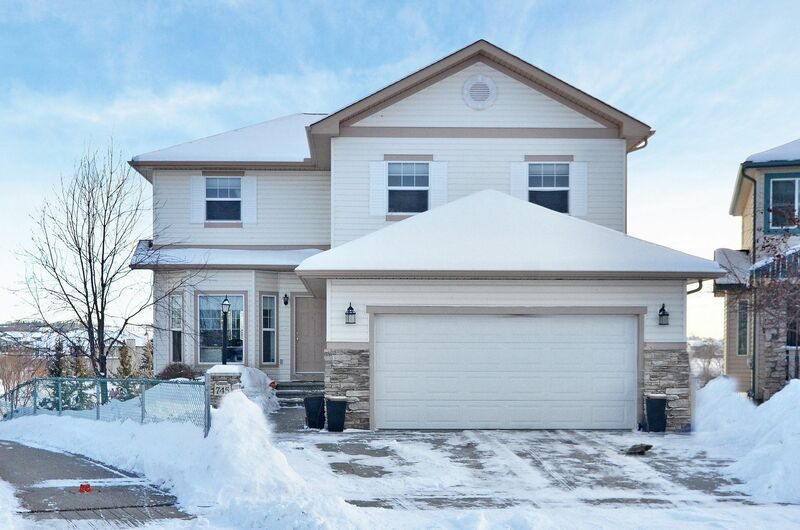 This wonderful walk-out family home is located in Cimarron Park, backing onto an open park that offers walking paths, a playground as well as an ice rink & toboggan hill in winter. St. Mary's Elementary, JPII Junior High & The Composite High School are all within a short walking distance. The main level offers some recent updates including an updated kitchen, new stone faced fireplace, gorgeous glass french doors with transoms leading from the livingroom to the office & new flooring. The kitchen boasts granite, stainless steel appliances & a massive island looking out onto the open greenspace behind. Upstairs you'll find 4 bedrooms (bonus room has been made into a bedroom). The bright basement has in-floor heat & offers a huge rec room, a flex room for a playroom or another office, a 5th bedroom & a 3pce bath. The oversized double garage offers tons of storage & also has in-floor heat. The pie shaped lot offers plenty of room for the kids to play when they're not off playing in the park behind the home. The yard is beautifully landscaped with U/G sprinklers. Other wonderful features include a brand new roof/exterior trim this year, central vac, mountain views, located on a quiet circle with no through traffic, extra wide driveway for additional parking. Excellent value in a fantastic location. Hurry, this one won't last.